Sometimes it is the one who knows you best who can love you best. Penny has lived her life letting others take the reins, leaving her to simply follow in line. After completing her senior year of College she’ll join her father’s marketing firm, get married and start a family. When her parents drop a bomb on her — that they are getting divorced — Penny decides it’s time to start living by her own rules. And when she meets mysterious P.J. Hawthorne, a published writer who seems to know much more about Penny than she lets on, she knows this is her chance to finally get her life moving in the right direction. But as questions about her new life overwhelm her, so do thoughts of sweet and gorgeous Alex — who just so happens to be her best friend. What follows is a series of poor decisions, each one more worrisome than the last, forcing Penny further and further away from not only Alex, but from becoming the woman she’s sure she’s meant to be. 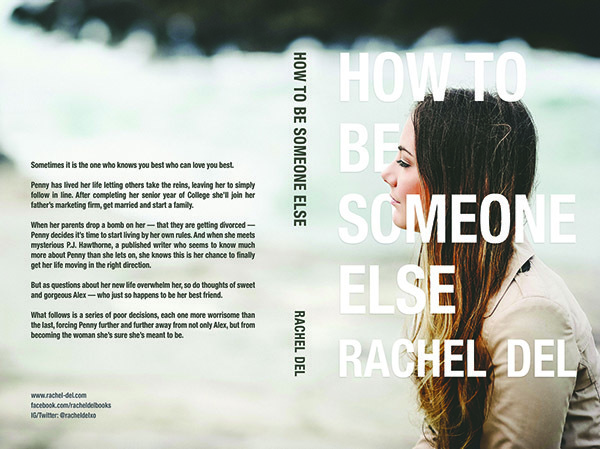 “Rachel Del’s style is fast and clear, her characters leave you thinking and thinking.” – Amazon Reviewer.